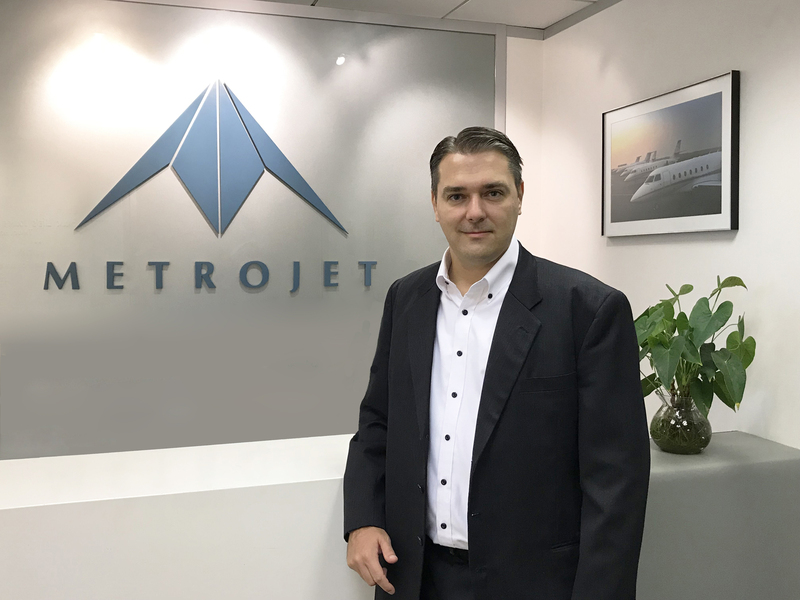 Metrojet Limited, a business aviation service provider based in Hong Kong with presence throughout Asia Pacific, is pleased to announce the appointment of Mr. Patrick Bouvry as Director, Aircraft Management. Patrick will be responsible for driving the profitable growth of Metrojet’s aircraft management business. In his role, Patrick will be working with the flight operations team to provide direction and strategy for aircraft management sales, account management, CAMO, marketing, commercial support and will offer group oversight for the establishment of the company’s China Air Operator’s Certificate. “I am honoured to join this established aviation team in Asia Pacific at a time where efficiency is redefining our industry. As a recognised brand in the region, Metrojet is embarking on a journey to new heights.” said Patrick Bouvry, the new Director, Aircraft Management of Metrojet. Patrick has worked in Hong Kong for over six years and brings with him more than 22 years’ experience covering a wide range of commercial and strategic roles within the aviation field. Prior to Metrojet, Patrick held senior management positions at Asian Sky Group Limited, Skyservice Business Aviation, Execaire and Bombardier Aerospace in Canada. He is also an MBA holder in Finance, Marketing and Strategy in addition to his aerospace engineering degree. Established in 1995, Metrojet pioneered business aviation services in Hong Kong and remains one of the most renowned safety and customer-focussed business jet operator and maintenance provider in Asia Pacific. The company provides all-inclusive aircraft management, maintenance and aviation consultancy services.